Primrose Oughterard, an eccentric artist living in Lewes, Sussex, has taken an irrational dislike to the new Latin master at the local boys' prep school. Despite his mannerly charm, impeccable credentials and jaunty buttonhole, Primrose is convinced that he is not what he seems but is engaged in some dubious enterprise. She is thus determined to root out the truth and expose his facade. Her suspicions are fuelled by a tip from her old sparring partner, the suavely raffish Nicholas Ingaza. And thus bolstered in her scepticism and indifferent to contrary views, she stubbornly persists in her mission. The pursuit leads to all manner of murky complications, not least the discovery of something distinctly unsavoury on the downs above Lewis. 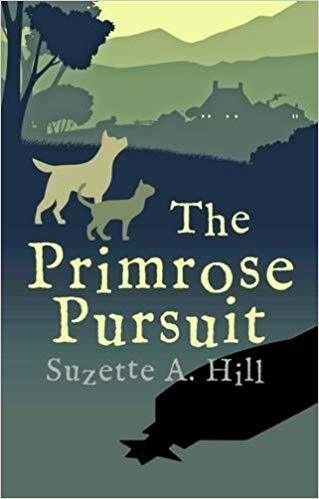 The gruesome find unleashes much subterfuge and skulduggery, whose dramatic finale results in Primrose and Ingaza joining forces to attempt the disposal of a corpse over the edge of a notorious Sussex cliff . . . a feat not entirely successful! "​Anyone looking for a light, witty read imbued with a touch of nostalgia and derring-do will enjoy this enormously." "​I really enjoyed this novel and I valued seeing Primrose from her own point of view rather than just her brother's . . . I hope there will be further novels in this series." ".​ . . funny and quirky, with figures who actually deserve to be called "real characters" and a good deal of carefully planned skulduggery described in elegant prose. If this is the sort of book you like, then this is a novel you will really love."